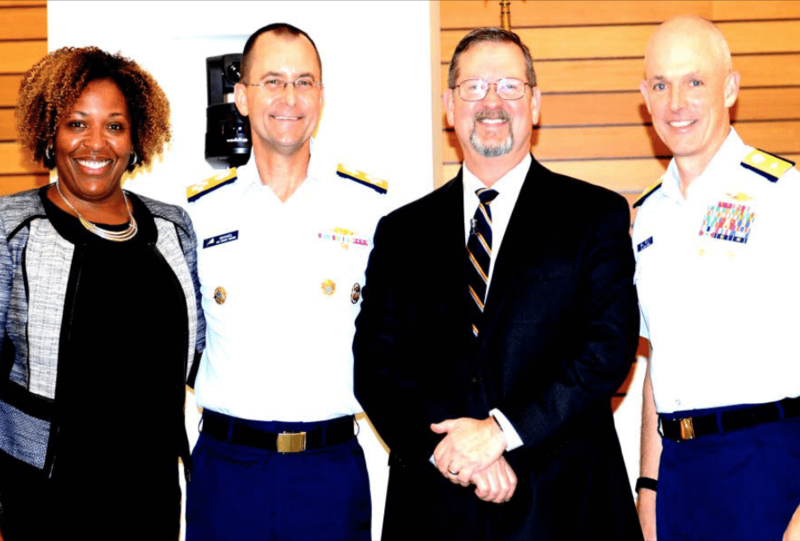 From left, Adrienne Wright-Williams, Admiral Charles Michel, Dean George Reed and Rear Admiral William Kelly following an anti-bullying symposium hosted by the U.S. Coast Guard. 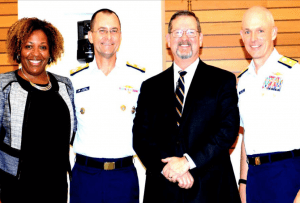 George Reed, dean, School of Public Affairs, served as the main guest educator at a Nov. 1 United States Coast Guard Cross-Directorate Anti-Bullying Symposium in Washington, D.C. The focus of the symposium was bullying in the workplace, the negative effects of such behaviors and processes and procedures to address such problems. Bullying was defined as including hazing, sexual harassment and other non-sexual harassment. Reed is the author of “Tarnished: Toxic Leadership in the U.S. Military” and a retired U.S. Army officer.